DSH Perfumes Megaleion is one of the four fragrances in the New Kingdom Collection, a collection of perfumes inspired by ancient Egypt. If you’ve been in the niche game for awhile, Megaleion may sound familiar. This is a relaunch and a rework of DSH’s original which was an interpretation of the “world’s first designer perfume”. Megaleion has tons of cinnamon spice and black cardamom in the opening. Megaleion becomes more complex. Spices, woods, dry dirt, vanilla-ish grasses, smoke. Magaleion smells ancient, like something I’d imagine encountering in an old clay bottle in a tomb but at the same time it’s modern perfumery because it has a sheerness. It’s an extremely balsamic fragrance with amber and spices. 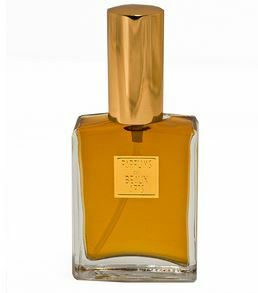 The oud in this is a delicate accent to the spikenard and amber. It dries down to something dusty, musty, woodsy and spicy. In comparison to the first Megaleion, I would say that this New Kingdom one is less mossy and less traditionally masculine. This is softer, more balsamic and cozier. I’m aware that the notes “read” as heavy but this is a more delicate interpretation, not heavy or loud. Notes listed include black agarwood, fossil amber and woody incense. Launch date 2013. Give Megaleion a try if you like spicy, woodsy fragrances. Or if you like perfumes like Esscentual Alchemy Hokkabaz, Jul et Mad Amour de Palazzo, Nasomatto Pardon, Memo Shams, Olympic Orchids Gujarat and/or Xerjoff Esquel. Megaleion is unisex and I think it’s best suited for autumn or mild winters. The 1 oz EDP retails for $95 at DSH Perfumes. Other sizes and samples are available. Victoria’s Final EauPINION – Balsamic spice. Warm, woodsy and with incense. Would be a great choice for a cool, rainy day. *Disclaimer – Sample provided by DSH Perfumes. I am not financially compensated for this review. My opinions are my own. Product pic from DSH Perfumes. Egypt pic from www.fanpix.net.